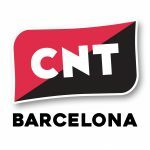 Statement by the CNT Barcelona on the latest actions by the Spanish state. Originally published by CNT Barcelona. Translated by Enough is Enough. From CNT Barcelona, ​​we want to show our rejection and discomfort in the current situation we live in Catalonia. We are witnessing institutional totalitarianism that shows the result of the smoke screen called “democratic transition”. We are experiencing the total failure of parliamentarism, of representative democracy. There is no doubt that the latest actions prove it, there are no deceptions, there are no words that blur it in thousand and one terms that have always served the factual powers to try to blur their interests. The arrests of the presidents of the ANC and Omnium have opened thei eyes of many people. During the anarcho-syndicalist struggle we have been suffering from repression by the Spanish State in collaboration with the Generalitat (Catalan government, translator) for many years. So we want to remind of all the anarchists taken, repressed by a system that never, absolutely never, allowed them to think and act outside the established parameters. The simple fact of building alternative spaces has already meant the systematic persecution of the libertarian movement. The Pandora cases, for example, have already demonstrated to what extent is the capitalist system and its allies are able to repress the self-organized spaces. Remembering Mónica and Francisco or the anarcho-syndicalists reprimanded by the “Caso Corte Inglés ” or the “Casino del Poblenou case”, among others, are clear examples that the parliamentary system is controlled by elites who will never leave the power to the working class, because they are scared. They fear that their modus vivendi, sustained in the control / repression of the working class, is threatened by self-organization. We want to make clear our rejection to the institutions where these policies are being channeled, prisons.Thousands of people have to suffer from an unequal, corrupt and unjust system. One of the most flagrant cases of the systematic violation of human rights can be found in CIES , where prisoners live in a situation below any human dignity. To company Ibrahima , who has been the victim of institutional racism and jailed simply for being who he is, to come from wherever you come, we send you all our solidarity. To denounce the most stubborn patriarchal system that rests in the prisons of women, it must be fought, and we will not stop in our struggle and demands. If you can imagine a world without inequalities, you can imagine a world without prisons. That is how we focus on our position of building an alternative for the working class. Today, now, we are suffering from repressive situations in our jobs. The trade union section of Portuaris, for example, has been threatened directly by police unions, simply because they explained the truth. Coerced daily in the workplace, suffering from insults, registries and controls. Now, more than ever, seeing how fascism is occupying the neighborhoods and institutions, we reaffirm ourselves as anarcho-syndicalists. The CNT is defined as an alternative space to combat this situation, a space where the defense of the workforce of each individual is the basis of our struggle. That they do not dare to think, for a moment, that we will only observe this situation. We will go to the street, you will see us in the jobs, we will point out the culprits who take the most basic rights of the workers and we will not rest until they are respected. Neither clergy nor monarchy nor state nor bourgeoisie. The streets will always be ours. We are back in Barcelona again. Please continue to support our independent on the ground reports. Its your support that makes it possible. Next post: Protests in #Leipzig: This Deportation is Ignorant, it’s Murderous!